Wireless connections for process measurement and control devices continue to grow in their application range and adoption. The ease with which remote, mobile, even nearby devices and equipment can be connected to monitoring and control stations keeps wireless connectivity a considered option for many facility modifications and additions. How do you know if the wireless connection you intend to establish will work? It's not a question of whether the gear will function properly, but one of whether the signal will be able to find its way from point A to point B. Signal attenuation is the reduction in signal strength that occurs along the path between two points. Too much attenuation and the signal is not effective in delivering data to the destination. Two main elements contribute to signal attenuation. Radio signals deteriorate over the distance traveled. This attenuating factor can be overcome by boosting transmission power, but regulatory limits are in place that disallow much in the way of increasing transmission power. Keeping in mind that signal attenuation at a level that renders a transmission indecipherable, just caused by distance alone, requires a very substantial distance. That said, there are several effective solutions that can be put in place. One involves increasing the height of the transmission antenna. Another is to install a repeater at a point along the transmission path. 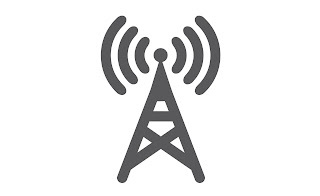 A repeater, properly placed, will effectively receive the signal from the transmitter, then transmit a new signal of greater strength that replicates the original received data. The use of repeaters can greatly extend the distance spanned by a wireless transmission. Many are familiar with the objective of establishing "line of sight" transmission paths between transmitter and receiver. Physical structures and materials of all types should be considered detrimental to the transmission of wireless signals. A basic understanding of Fresnel zones is helpful in overcoming the barriers presented by physical obstructions. As with distance, antenna height or location can be a significant factor in dealing with the challenge of obstructions. Repeaters, described earlier, can be instrumental in getting your signal over or around otherwise impassable obstructions. Routing wireless signals presents different, but no more complicated, challenges than routing cable. The tools are different, the medium is different, but you are still just trying to find a way from point A to point B. With experience, wireless signal propagation becomes is mundane is routing conduit. Share your industrial wireless ideas and challenges with the experts at Analynk Wireless. Analynk Wireless manufactures equipment used to establish wireless process connections across the room, across the plant site, across the highway, and around the globe.